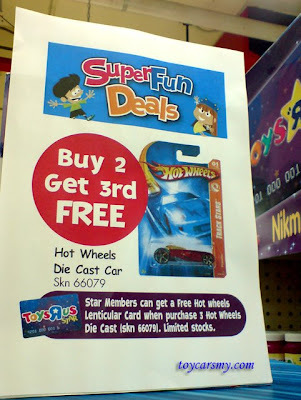 Toys R Us is running a buy 2 free one promotion with a 3D card given free to Star members. With the promotion, the turnover of the assortments will be faster give way to new cards into the department stores. 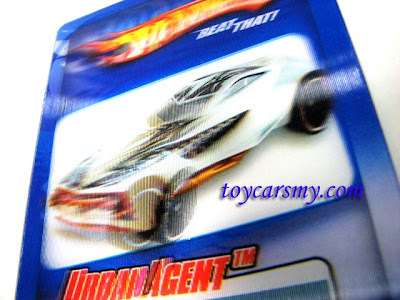 At present, non of the new cards been reported from TRU yet by the HWCM members. 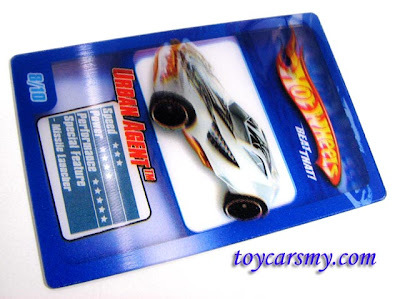 Every purchase of the 2 Hot Wheels model at RM13.00, you are entitle to redeem the 3D card from the customer service counter. The helper will need to record down your receipt number for the tracking purposes. It sealed in the blue package like an angpao from TRU. The 3D effect is produced by the overlapping images overlay by the plastic film on top. You can see the depth of the image by putting 1 feet in front of you. 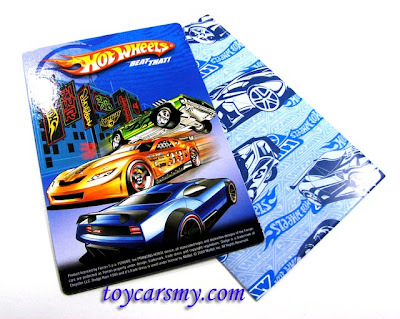 The 3D cards is definitely something fun to collect, I will need to try hard to get the Ferrari 512M as the real diecast is already in the hot cake.